At Childbase Partnership we take great pride in the fact that every employee is in fact a partner in the business, encouraged and empowered in the decision-making process and sharing the rewards of success. Following over a decade of employee ownership at the company, Childbase Partnership is in the top 12 per cent of UK providers of childcare and education; one of only 108 UK companies to be rated ‘Extraordinary’ by Best Companies, and has won prestigious awards for quality and innovative training programmes. 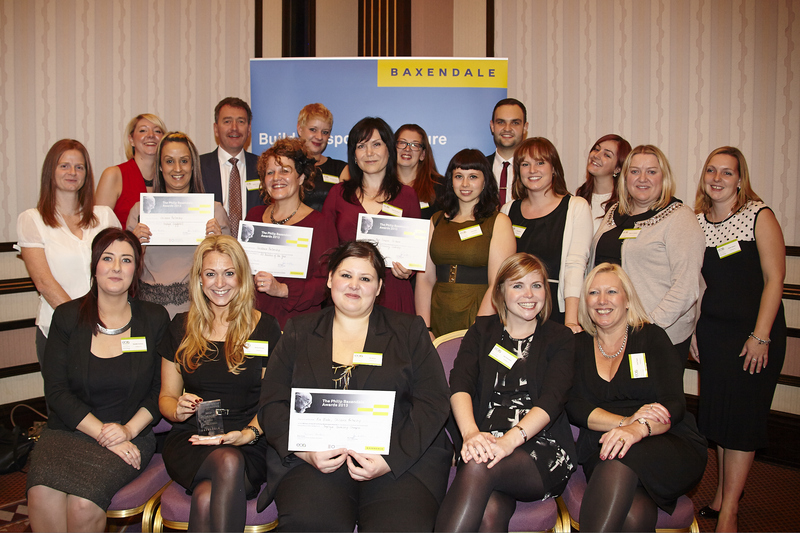 Awards are great motivators but the annual Philip Baxendale Award scheme is different because it not only recognises excellence amongst the employee-owned sector’s highest performing organisations but also celebrates the individual’s role as a major player in the continuing success of their company. Our Partnership Council – the employee representative group – heart of informed decision-making and collective responsibility at our Company – demonstrated this point most convincingly with a passionate and enthusiastic acceptance of the Baxendale Award for championing the cause of employee ownership in 2011. We saw the same response again, last year when Ria Blake, a Partnership Councillor and one of only four elected Directors on The Trust Board, which promotes ownership within our company and administers our ‘save to buy’ share scheme, also collected this award. All recognised experts in their own fields but passionate about their roles as employee owners and delighting in the fact that their commitment to bringing more colleagues ‘into the fold’ had been recognised. The euphoria lasted longer than the award ceremony as in each case we witnessed increased drive and commitment from our award winners and elevated levels of interest amongst colleagues for their ideas. Overwhelmed by her award and the positive reaction of colleagues, Ria Blake has gone on to become an Employee Ownership Ambassador taking the message to other organisations while maintaining her commitment to furthering the aims within Childbase Partnership. The author of a variety of promotional material, like ‘So Good we own the company’ pamphlet and an easy Guide to CASP (Childbase All-employee Share Plan), Ria is not only creating a climate of understanding and enthusiasm for employee ownership, but ensuring the topic is regularly reviewed at all levels of company operation. Highly driven and proactive, Ria not only co-ordinates the National Employee Owners Day celebrations in 47 nurseries but ensures that parents – our customers – understand, with the aid of dedicated literature, the benefits of having employee owners invested in giving their child the very best start in life. “I have been an employee owner for many years now and have a very personal connection with Childbase as a result. Knowing that I make a difference to our company’s success is hugely rewarding and satisfying but, more importantly, I also believe I am laying the foundations for future Partners”. “I want my sons to have the opportunity of taking their children to a Childbase nursery to enjoy the outstanding care and education that my eldest son now experiences at Meadow View Day Nursery in Newport Pagnell” she said. In a challenging market place where partnership rather than collaboration is vital in achieving long-term sustainability, an award scheme that recognises and inspires the individual is to be applauded. I wish all entrants in the annual Philip Baxendale Awards every success on the night and thereafter.